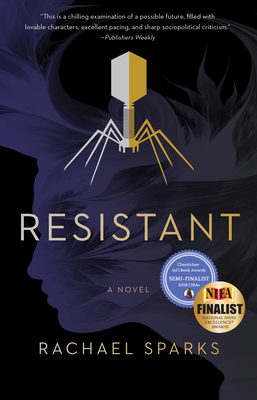 A thrilling debut in the style of Crichton or A.G. Riddle, Resistant imagines a chilling--and entirely plausible--future where antibiotics don't work, and weaves adventure, romance, and science into a thrilling chase for a cure. In the final battle with drug-resistant bacteria, one woman's blood holds a secret weapon. Rory and her father have survived the antibiotic crisis that has killed millions, including Rory's mother--but ingenuity and perseverance aren't their only advantages. When a stoic and scarred young military veteran enters their quiet life, Rory is drawn to him against her better judgment . . . until he exposes the secrets her mother and father kept from her, including the fact that her own blood may hold the cure the world needs, and she is the target of groups fighting to reach it first. When the government comes after Rory, aiming to use her for a cure it can sell to the highest bidder, she's forced to flee with her father and their new protector. But can she find the new path of human evolution before the government finds her?